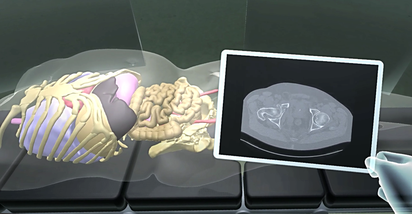 Visualization of medical cases - medicalvrlabss Webseite! Based on your image data (DICOM), we realize your individual projects from the specific patient pathology to the virtual simulator. Exceed the limits of conventional, anatomical models and immerse yourself in the virtual replica of your patient. Borders between model and reality may disappear by using an innovative display system and VR/AR glasses. A look into the beating heart? With the intelligent learning environment, medical interrelations can be understood and experience gained. The models can be used online on any device and can be embedded in any 3D environment. The digital models include the DICOM data set as well as the resulting 3D model in various exchange formats. 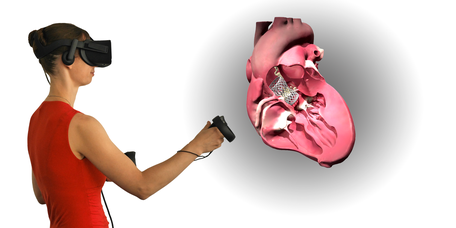 We integrate your prototype into the appropriate environment and show the use within a virtual pathology. For an impressive presentation of your new development at congresses or trade fairs, we offer you the possibility of a virtual environment in our all-inclusive rental system.